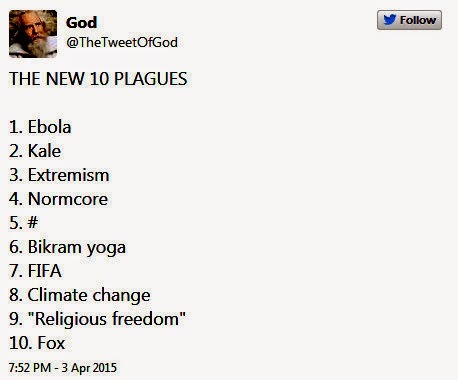 This entry was posted in Other Stuff and tagged humor, the 10 new plagues, tweet of God. Bookmark the permalink. Great list! I like 6 & 9.